Are you bored with your all-inclusive vacations? 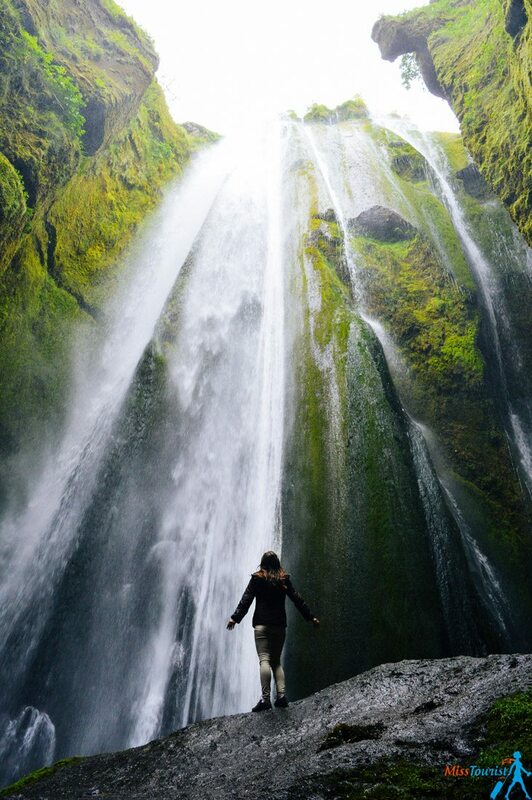 Did you ever picture yourself exploring the totally out of this world sceneries of Iceland? You want to get a bunch of friends together and have the road trip of a lifetime? No, seriously, do you want to travel to Iceland? The answer should be yes. Yess, you do, trust me on this one! Maybe you don’t know that yet, but trust me, you do. Whichever continent you are from, you can have my word as Misstourist that you haven’t seen nothing like Iceland before. It’s so unique! This article is written to give you an idea of what you can see in Iceland making a complete circle of the country (which is an island). For more detailed practical information of how to organize the day, where to stay etc, just click to the link describing each day. This is an overview so, if you have a bit more (or less) days, you can simply adjust it according to the route suggested below. Now, what do you need for your Iceland holiday? What to pack for the Iceland road trip? Day 2 – Let the adventure begin! Day 3 – Turf houses and more amazing waterfalls! Day 4 – Hike a glacier! 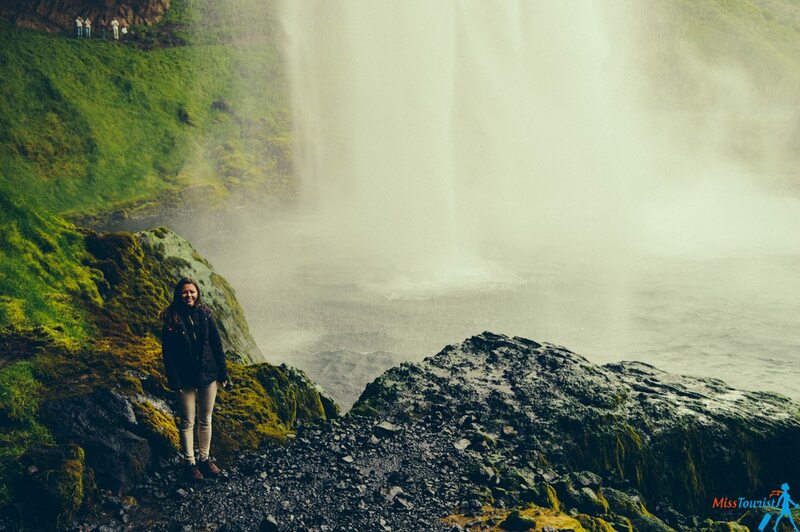 Day 5: Discover Hengifoss waterfall and the Eastern Fjords! Day 6 – Don’t (or DO?) go chasing waterfalls! Day 8 – Boots on, it is time for some hiking! Day 9 – Spot some whales in Husavik! Day 13 – There is still so much to see! Bonus – any day, but a MUST DO! Renting a car in Iceland in top season is tricky. It was for me, especially, since I had a full 2 weeks ahead. 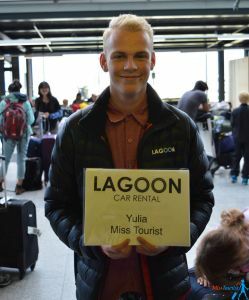 There was no luck involved here, after going through every possible rental, I found the best rates at Lagoon Car Rental, they even give discounts for one week, two weeks or longer rental periods. They sent this smiley guy to pick me up and take me to their office just a few minutes away from the airport. And they got my name right: check it out! Also, I found RentalCars to give some interesting discounts for car rentals. If you are renting for 7 or more days, chances are you are going to get some big discount – check the rates for your dates here! And because I wouldn’t let you go unprepared, my dear reader, I wrote a guide about how to choose a car, and about driving in Iceland! UPDATE: I have written a detailed blog post about all-seasons ultimate packing list for Iceland, it as recommendations on everything you will ever need in your trip! Iceland is a very expensive country, and that’s why I suggest you to bring with you what you’d need, and don’t expect to buy things in Reykjavik without breaking the budget. That’s just not an option. As long as you bring your essentials, you’ll be fine, and you’ll be able to have a great vacation following this itinerary. Regardless of the season, you’ll need a few items in Iceland. Also, if you plan to camp, you’ll need some camping gear. Hiking boots – you’ll need a good comfortable pair, and the prices for these in Reykjavik were plain scary. You are going to hike, walk on ice sometimes and get wet near the waterfalls. Get a good pair! A GPS device – check if your car has one – otherwise it will be at least 10-15USD per day if you rent one, this way you can bring your own and use it back home as well. First things first! 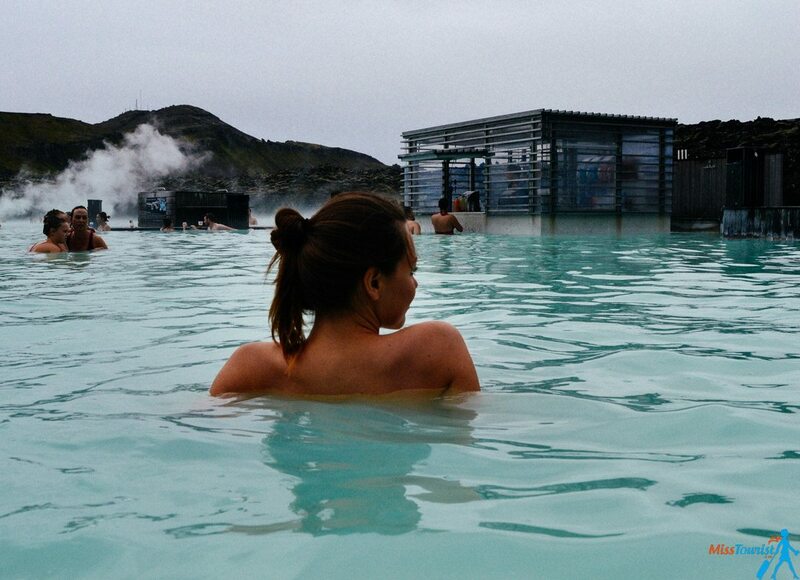 Relax after your flight in the Blue Lagoon for 1-2 hours and visit the city of Reykjavik, Iceland’s capital. Get supplies and a good night sleep, as the adventure is about to begin! Read what, where and how, here! Read my Reykjavik on the budget article to find more information about what to see and do in the city. Here you can find lots of hotel recommendations! Start with the most common touristic route that you can take even in one day. 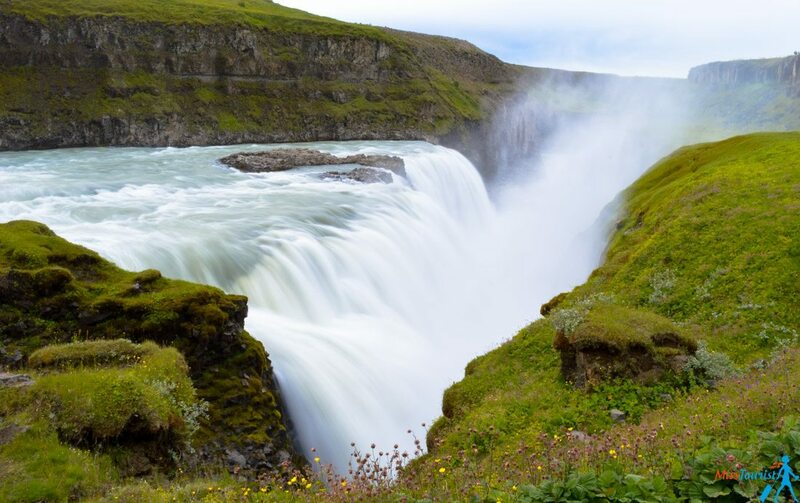 So, starting early from Reykjavik, this first day you will see the wonders of the so called “Golden circle”: the Thingvellir National Park, the Geysir and the Gullfoss waterfall. Do you want to see a perfect shaped crater? 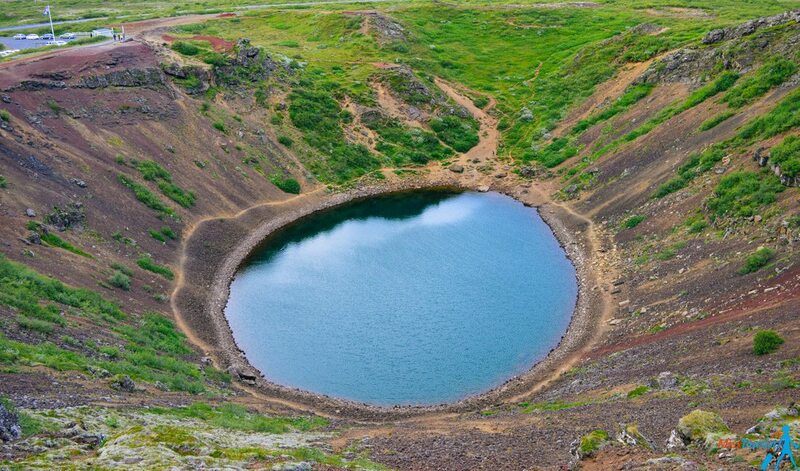 Then there is a bonus places available: visit the Kerið crater. Read more about the itinerary of day 2 and which is the best area to spend the night here. In this day you should make your way to the iconic turf house of Kledar. Afterwards, admire the Seljalandsfoss waterfall (try to pronounce that, huh!). 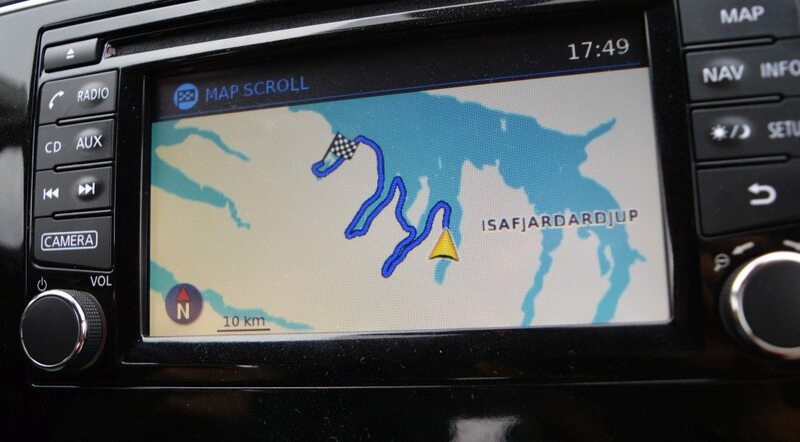 Next, drive a bit more to the Skogafoss waterfall. It’s powerful and impressive, I would have liked to stay even more! You can finish your day after another driving session that gets you to the black sand beach of Reynishverfi. Want to know more details about this day and where to spend the night? Click here! 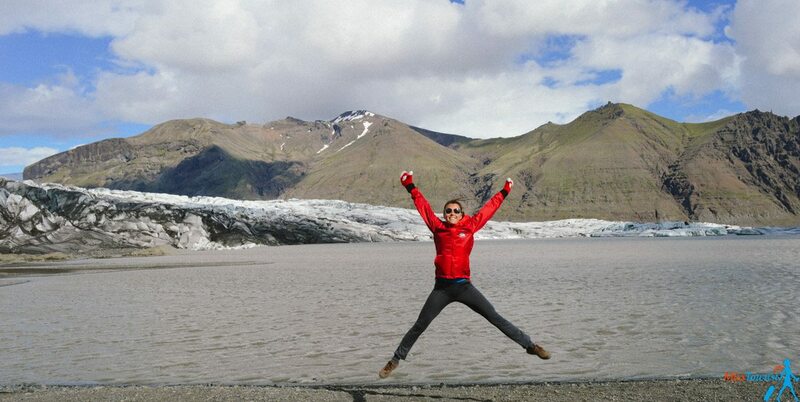 Iceland is full of glaciers! And today you will get your first feel (and taste, if you really want to taste it) of these ice giants. You will reach the Iceland’s second national park, Skaftafell. There are many activities you can do there, glacier walks being the basic ones. Day 4 should also start early if you are about to take some advantage of these activities. You should really book ahead your glacier activity on Skatafell, especially in the high season. That will take you a big chunk of your day already. Starting from Either Eglissadir, if you chose a long drive, or from the Hofn area, make your way towards the Hengifoss waterfall. Hope you didn’t get tired of them already because it’s impressive, and rather different than the ones you have seen before! If the time and weather permits it, you can go on a drive around one or some of the Eastern Fjords. See more details about day 5 and accommodation info here. Day 6 is a particularly interesting as the road will take you to many unique places. You’ll start with Dettifoss, Europe’s most powerful waterfall. It’s massive, you’ll be impressed! 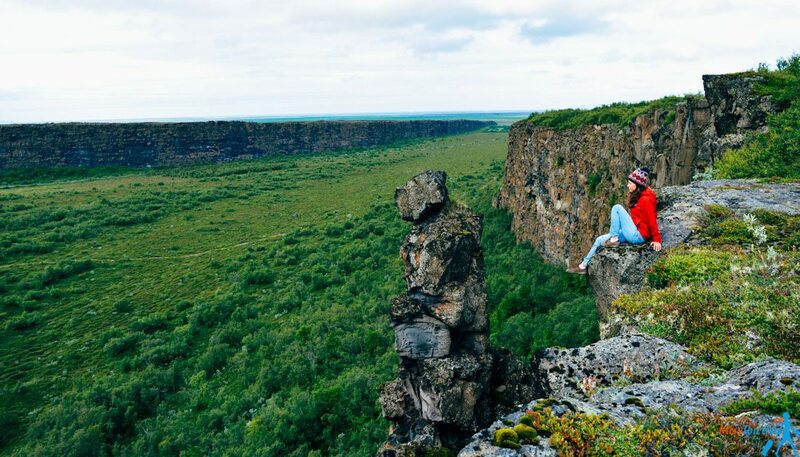 You won’t be able to wake up from your admiration, as just 10 minutes walking you will see Selfoss, which is stunning in a different way: it’s quitter, but in the shape of a horseshoe with many falling torrents. Something like Rivendell. Did you ever wonder how Mars looks like? I think you’ll find your answer at the sulfur smelling fields of Hverarond, a mare 20 minutes drive from Dettifoss. 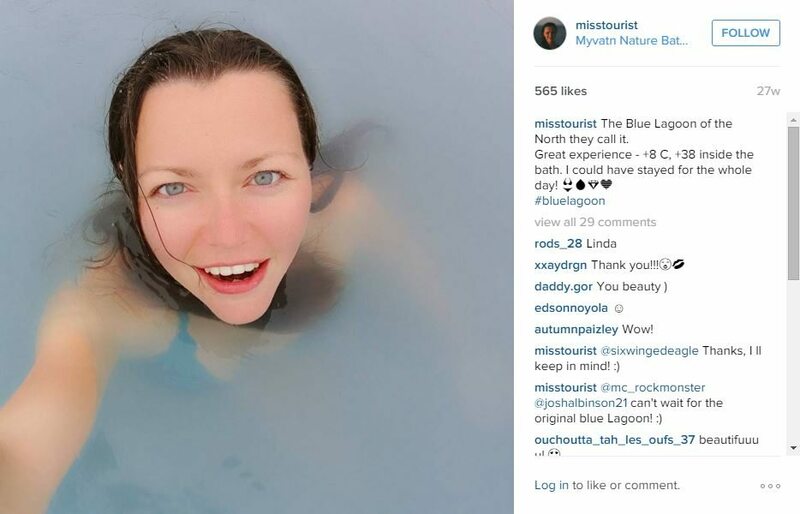 Just around the corner there are the Mývatn nature baths, also known as the Blue lagoon of the North. I suggest you relax here for one hour or so. 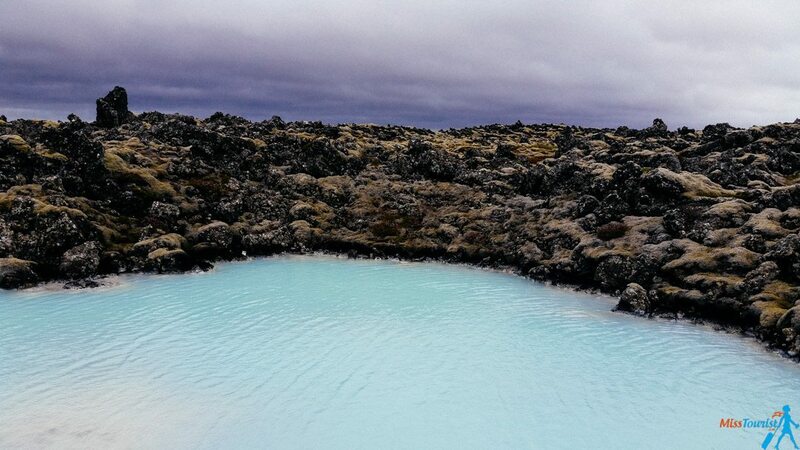 It is also cheaper than the Blue lagoon, but I still prefer the first one! Aaaaaand we’re still not done yet! Make your way around the Mývatn lake and stop to see Godafoss. The third waterfall of the day, fantastic again! Tired by now? I’d say so, it has been intense! Take it easy on this day and relax in Akureyri, Iceland’s second biggest town. Click for more info about things to do in Akureyri and how to prepare for the next day. Hiking boots on! It’s time for a special view in Ásbyrgi. Asbyrgi is a horseshoe canyon with many trails. Take advantage of the wild nature and fresh air and go for a hike. Here is all the info about how to get to Asbyrgi, and where to sleep next. How much do you like whales on a scale from 0 to “a whale lot” ? Huskavik is maybe the best place to do whale watching in Iceland! Reach the unreachable. Time to head West, are you ready? It’s a long drive to IsaFjordur, the capital of the West Fjords, but well worth it! Besides the ever incredible views along the road, you should be able to see some super relaxed seals. Click here and I’ll tell you exactly where they are! This day you can get away with only a short drive (yay!). But there are plenty of activities around Isafjordur that you may enjoy. They include visiting fishing villages of Suðureyri, Flateyri. Taking food tours, cooking classes and learning the secrets of Viking sushi. All the info is here. You might have been missing waterfalls by now, right? 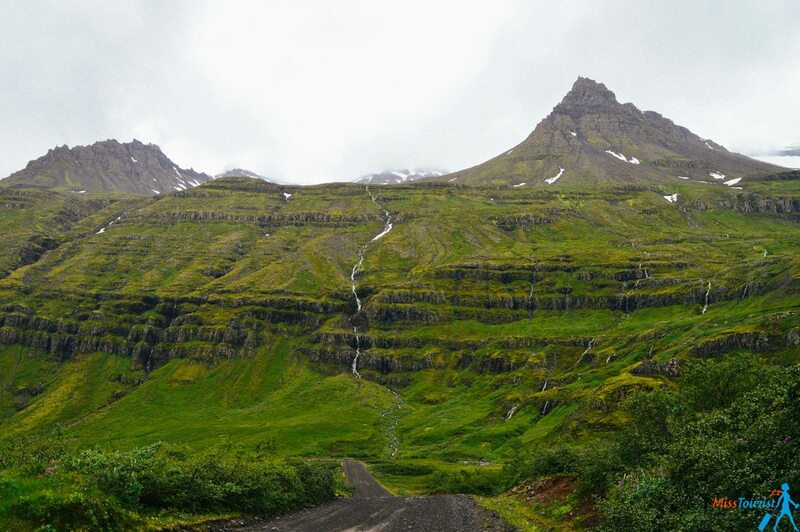 There is one that you should not miss in the West Fjords and that is Dynjandi waterfall (also known as Fjallfoss). It’s your first stop of the day and it’s of course unique and worth visiting. If you want, you can also visit Látrabjarg, Europe’s most western point. 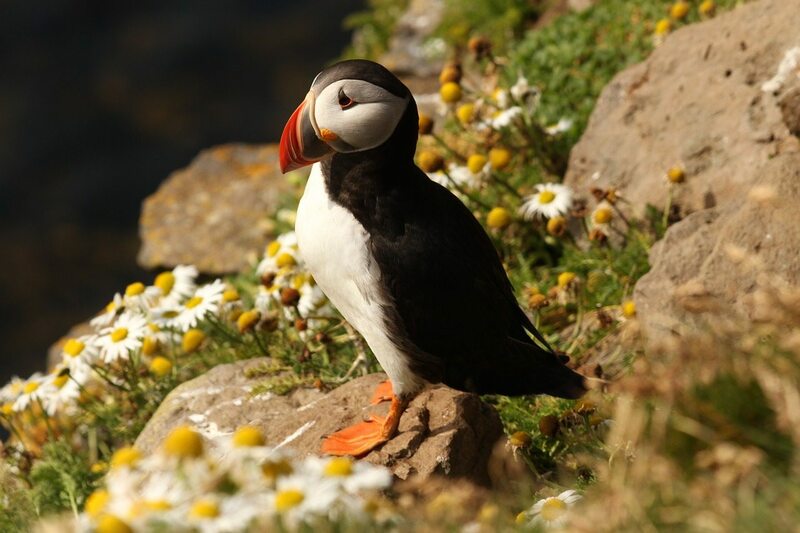 It is an enormous bird cliff that is also a home for puffins, adorable birds that are so close, you can almost touch them! Beware, that you do need a 4WD normally to reach it! Day 13 already, and still more amazing things to see and do! 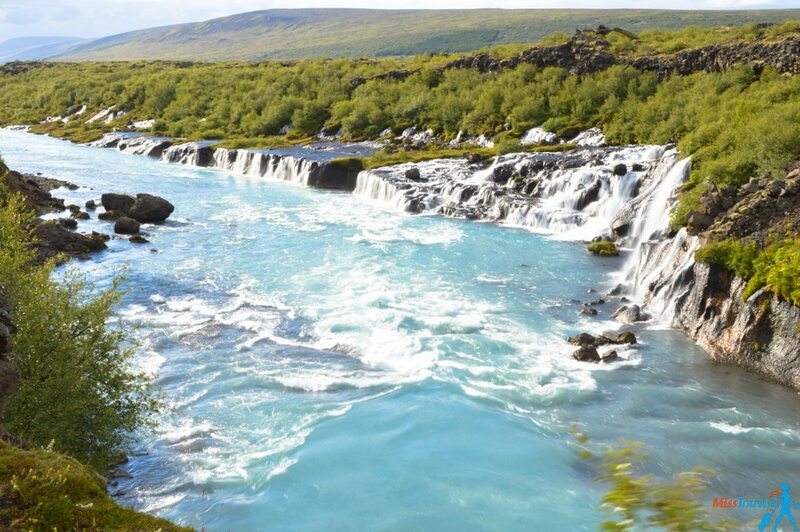 Wake up early and go see the Hraunfossar & Barnafoss waterfalls. Believe me, they will amaze you again, even after seeing so many other impressive waterfalls. You can choose to go to an Ice cave, a lava cave, or both. If you manage to plan it well enough. 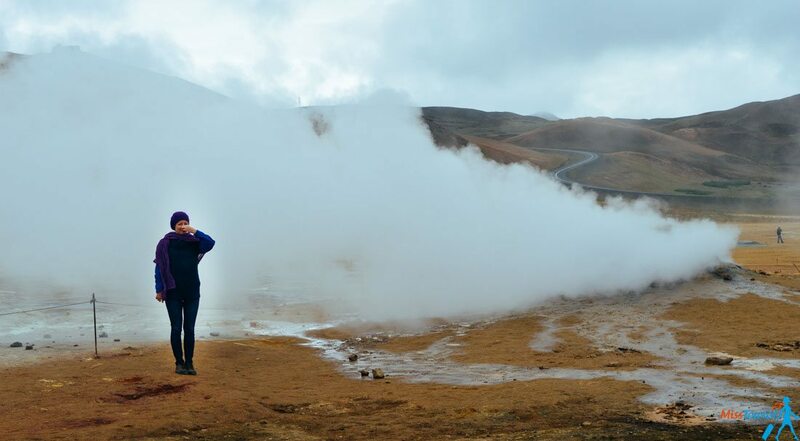 On your way to Reykjavik, stop to see the out of this world boiling (!!) river. All described and pictured for you here. Day 14 concludes the tour of the island. It has been a long drive, but totally worth it. We are heading back in Reykjavik,but do not be sad, there are still many great activities you can take before your flight back. Your visit of the capital does not have to break the bank, check out my guide called “Reykjavik on the budget”. Here are some amazing tours that you should consider taking! I did not post them by a specific day, because you can take them in many places, but it would definitely be a miss if you don’t do it! It does not really matter for me WHERE in Iceland you will do horse riding, but please promise me you will do it! Icelandic horse is a breed developed in Iceland. They are special – something in between a pony and a horse, and VERY cute! They have been brought by the Viking colonists over 1000 years ago to the island, and they have not been bred with any other race ever since! You can find some Icelandic horses outside Iceland (expensive) but you CANNOT find any normal horses inside Iceland. It is done in order to protect the breed, to keep it clean. 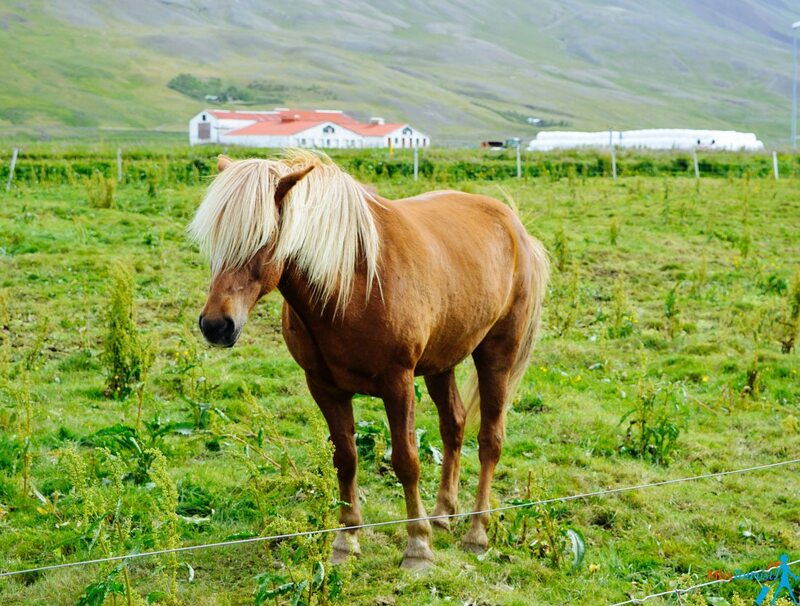 It is illegal to import horses in Iceland. Point. Just look at this, how can you not adore them? No wonder why I was so excited to see them, to pet them and obviously to ride them! I found a farm close to Reykjavik that do not have a site, so I can’t recommend you which one was it, but there are plenty of companies that do that, just ask your hotel or ask around. It was great and I really can recommend that experience to anyone who likes horses! Even though my horse knew oh-to-well what to do and I found it hard sometimes to manage it. After all, Icelandic horses have quite a wild spirit, even if treated in a farm. P.S. if you are afraid to ride horses, no worries, it is not a big deal. But at least stop from time to time when they pasture to look at them, and maybe you’ll find the courage to pet them! P.S.S. 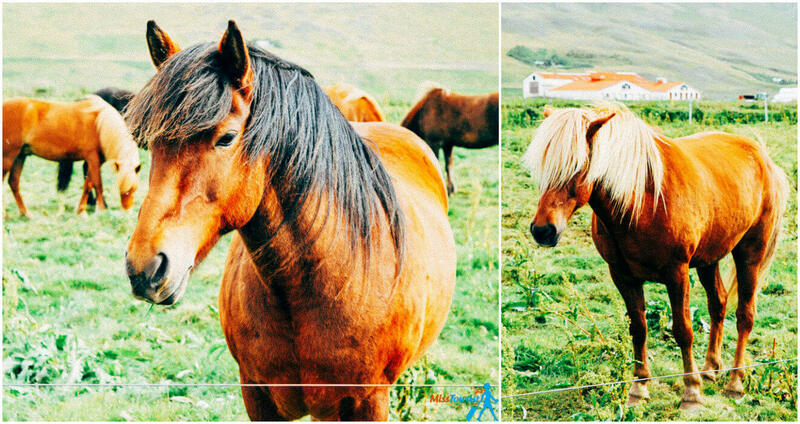 If you cannot choose which Iceland horse riding to choose, I recommend this one or this one. They are both close to Reykjavik and you can be sure about the conditions the horses are kept and the staff qualification. 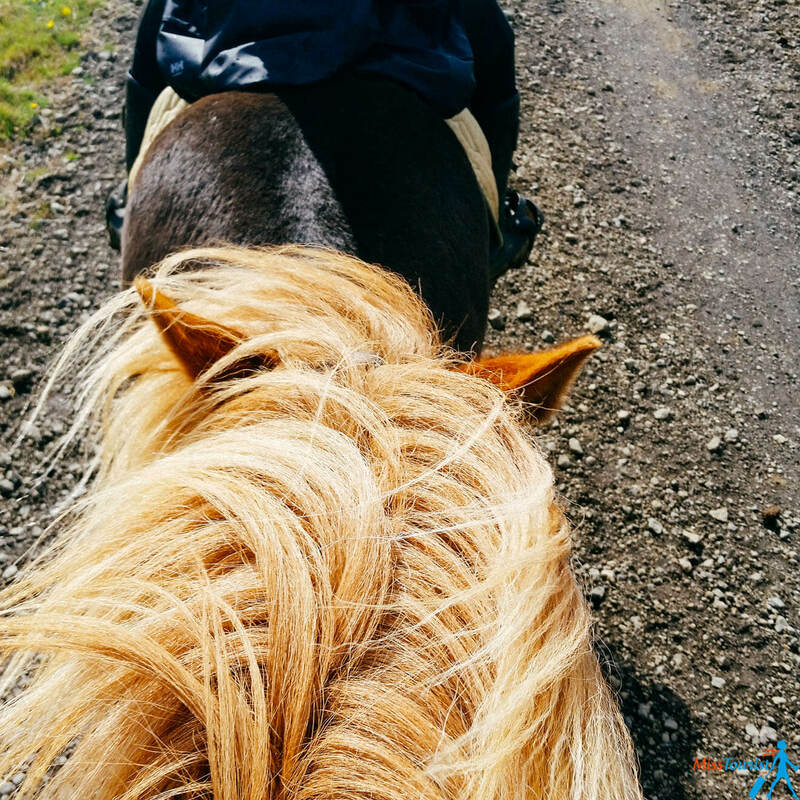 COST: It really depends from the company and the tour you are taking (private or in a group), but it should not be more than 40 EUR per hour for group horse riding. Other cool things to do – whale watching! The best place to do it in Husavik. I wrote quite an elaborated piece about my experience here! But, if you are not reaching Husavik, you can try your luck in Reykjavik. They too know how to spots whales, this is a good environmentally certified whale watching company. Don’t miss your chance to snorkel one of the TOP 10 diving spots in the world! Silfra Lava Fissure is the place where American and European continental plates meet, and guess what? You can swim in between them! I haven’t personally done that yet, but swimming in the crystal clear water between 2 techtonic plates is one of the main reasons I want to come back! This tour has a PADI certified snorkeling guide, all gear and admission fee included. If you are looking for road trip itinerary around Iceland, this guide will give you an idea of the things you can do there during two weeks. You can use it as it is or you can make your own trip from the main points I sketched here. Either way, you are in for a wonderful adventure! Part 4 (North of Reykjavik). Would you add something to this “Things to do in Iceland” list? What is your favorite/most desired activity in Iceland? Very informative post Yulia! Iceland has always been on my travel bucket list, and seeing your post makes me feel like going right away. How about the food by the way? Did you find any vegetarian food? Being a vegetarian, I am always concerned about finding something to eat. what can i say about the food in Iceland – it is expensive. It definitely wont be a problem to find a vegetarian place in Reykjavik or Akureyri (cities). Hi Yulia, I heard that is hard to get a restroom when you are on the move. Is this true? Very nice post. We went to Iceland last month but we had time only for Reykjavik and for The Golden Circle. Next time we are planing to go to Akureyri. Yes, you should not miss out the North of the country, it is stunning!! I enjoyed reading your blog. It’s very informative and it does help me to get an idea on how to plan for my coming trip. May i know which month that you go in your blog? I saw quite a lot of blog going in winter. I’m quite petite and i’m afraid i can’t the cold. I heard driving during winter is difficult. My initial planning to Iceland is probably end of September or beginning of October. Do you think i will be able to catch the aurora? Hi Yvonne, thanks for your comment! I have visited in August, which is the busiest but also the warmest time of the year in Iceland. End of September/beg of October sound great to me! There is a chance (no guarantee of course) to catch the aurora lights. The weather will be colder, but still not that cold and dark as in, say, January, and the prices for car renal/accommodation will be much lower. Thanks for the post. I’m gooing to Iceland in two weeks and I would like to know if you had any problem getting to any of the places you visited with the Nissan you rented? I’m trying to decide if I need a sedan or a 4×4 car. Hi Roy! Thank you for your question! No, I had absolutely no problems getting to the places mentioned in my itinerary, you only need 4×4 if you go off-road. Notice howver, that some roads might be closed if you are going in the winter time. Check this post how to choose the best car in Iceland. Also, i recently teamed up with Sixt, here is your 10% discount for any booking, or even 35% if you book for 1 week or more! Check them out, it is a great deal and the service is more than reliable. The basic cost of renting a car and accommodation for 14 days was about 2000 Eur altogether for 2 people, if you want to do some tours etc, you should add that as an extra cost. Wow that is really quite a tour you’ve done! We’ve done diving in SIlfra and that was an incredible experience, it is certainly one (if not the most) expensive dive one can do but certainly worth it! I’m looking at renting a car for my trip to Iceland this summer. Unfortunately, I don’t have two weeks so I’ll only be doing the first few days of your suggestions. Some cars can go on the “F Roads” and some can’t. 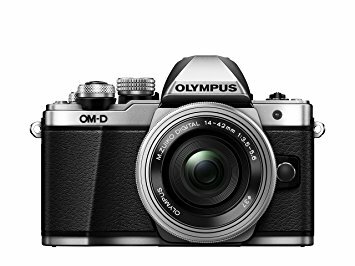 Are any of your recommendations F Road places? Also, since I’m flying in and out of KEF, and I only have a few days, do you recommend the stuff to the south of KEF or to the north more? I’ll only have time to do either Days 1-4 or 10-14. Which are better? Hi! None of my recommendations need an F Road capable car, maybe in the future when I’ll go again :).If you don’t have many days I suggest the 1-4 itinerary, and if you have one extra day you could go see the waterfalls I described north of Reykjavik. They are less than 2 hours drive from the city! Hi Yulia! My friend and I are thinking of going to Iceland in May and basically following this full 14 day road trip! We will be 20 and we were wondering if there is any trouble with people our age renting a car? Also do you hve any recommendation to maybe to the road trip in a few less days by still hitting all the key spots? Lastly, how many night do you recommend for REYKJAVIK? Thank you this trip looks amazing! Sounds like a great adventure! You should read terms and conditions of each individual car rental company. Some have it from 21 yo, some from 25, most will allow the rental from 18 but with extra charge. It really depends on the company in this case. If you are intro shopping, night life and art, I would maybe stay for 2 nights, otherwise, if you are in Iceland for nature, 1 night in the capital is enough. Lastly, if you would skip something, i would maybe skip one of the fjords- either eastern, either western. Just another quick question, how much ISK would you recommend bringing for the 14 days? Thank you for your post! My daughter and I are traveling this June and your guide is excellent. I think we will follow it -so much more clear than the lonely planet and rough guide books we have been looking at! Thank you very much for the comment, I will edit the posts where I do the conversion. Yes, unfortunately, Iceland is far from cheap nowadays and, if I remember correct, 2 years ago when i visited, the whale watching tour was also about 90 eur. Yes, the best way is to book everything in advance and probably, go slightly off-season! 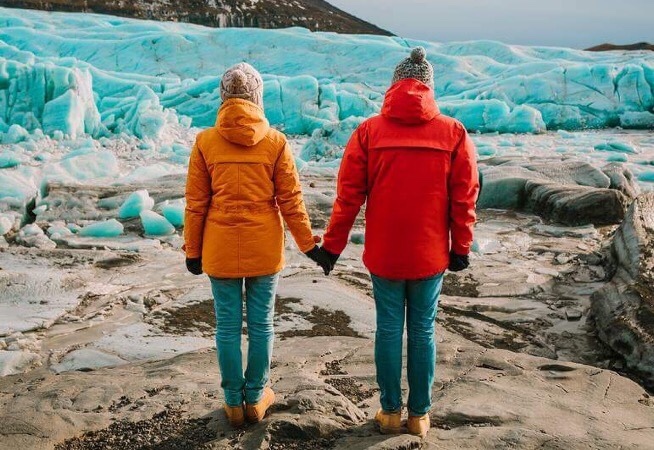 Could you people please not go to Iceland? You are ruining it. Iceland used to be so nice, small, quiet and just nice. Now you can`t turn around withouth bumping into a ****** tourist taking a dump in someones garden. You throw trash everywhere and behave as if Iceland is your personal amusment park. I miss Iceland so much, in the 70-, 80- and 90s it was so nice. But that`s gone now, gone forever because foreigners are *******. it is a pity some of the tourists behave this way unfortunately. Everyone should travel responsibly no matter what country he is in – foreign or his own. I wonder how many people from Iceland travel abroad as well and create havoc int he countries they are visiting or do you all stay permanently in Iceland and never venture out of the country – I would say not. Your post sounds ridiculous. People travel and yes permanent residents can get annoyed but it affects everyone everywhere. People from Iceland also rely on tourists or do you wish your fellow countryman to starve. Which time of the year did you go ? WE are four ladies planning a self drive using the circular road,Any recommodation?, We plan to travel in september 2018 but we are starting our research now. 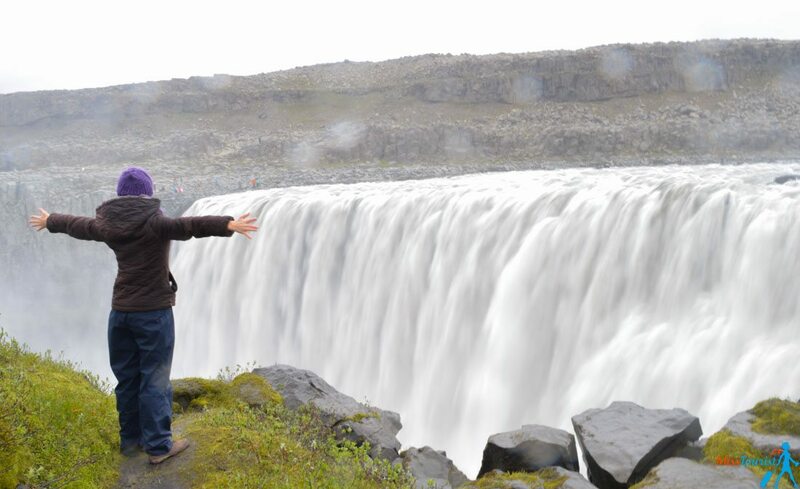 We would like to take in the golden circle, the east and west fjiords and other interesting attractions along the way. First of all, i definitely recommend getting a car for 4 of you, my tips on that here. All of the sides of the island that you mentioned are described in details here, check it out! It has been a long time ago and we have lost all the calculations, thats for sure. My case will be definitely different from yours because now the prices are different, we shared the car expenses for 4 people for 1 week and 2 people for 1 more week etc. I really want to go back again now!! Thanks for sharing this post, loved it! Sorry, I though I replied to your comment. Staying in Reykjavik and doing day tours will only be practical if you will go around the city. You will miss a lot of great places that are 4 and more hours driving, so i recommend choosing at least one more base. I have a detailed articles on both West side and South Side of the island, check them out here. I am going to Iceland in the first week of May. I am planning to cover the ring road. May I know which Nissan model you rented for your trip. I am thinking of renting the same as I will be covering the same places. Is it 2WD ? Awesome post! Question! What is the minimum number of days to drive around Iceland? Thank you! i would say the minimum is 4 (the Golden circle) and 10-14 is an optimal time. Thank you for your post! My husband and I are traveling this June and your guide is excellent. I think we will follow it -so much more clear than the lonely planet and rough guide books we have been looking at! It is my first trip to Iceland with my husband. 1. Are there certain tours we should book in advance? (I notice you say a few times that the tours were full.) And we definitely want to do whale watching. 3. Restaurants. Do you have any suggestions? And, do I need got make reservations for any of them beforehand? 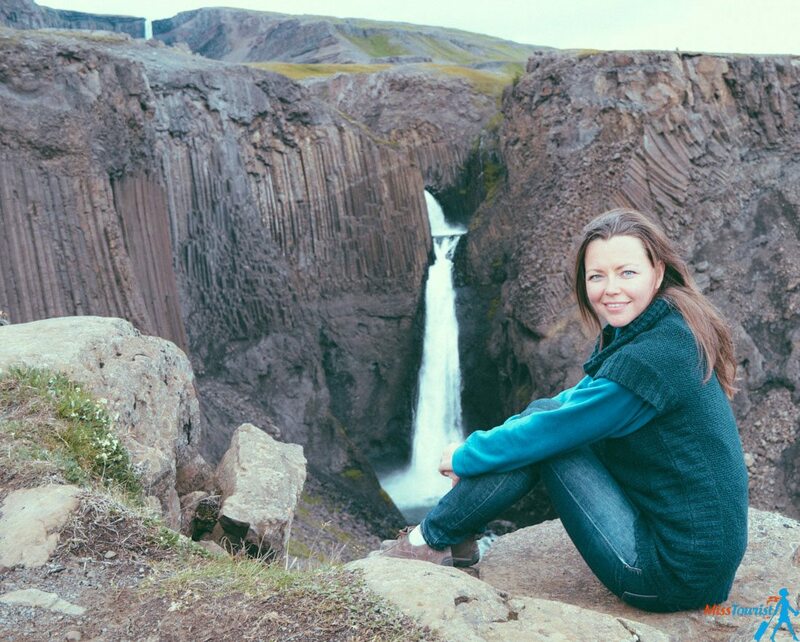 I’m so glad you liked my Iceland itinerary and you want to do it too! I actually receive a lot of questions about this subject but your concerns are so well structured that I decided to transform this much-needed information into a new article that I will post soon! 1. Of course, I recommend booking any tour you find and like in advance, as there’s always the risk of them selling out and then there will be nothing to do to change this. Yes, it happened to me too so that’s why I advise anyone to book in advance. If you don’t know what to book just yet, I have some suggestions for tours that are a must-do in Iceland. 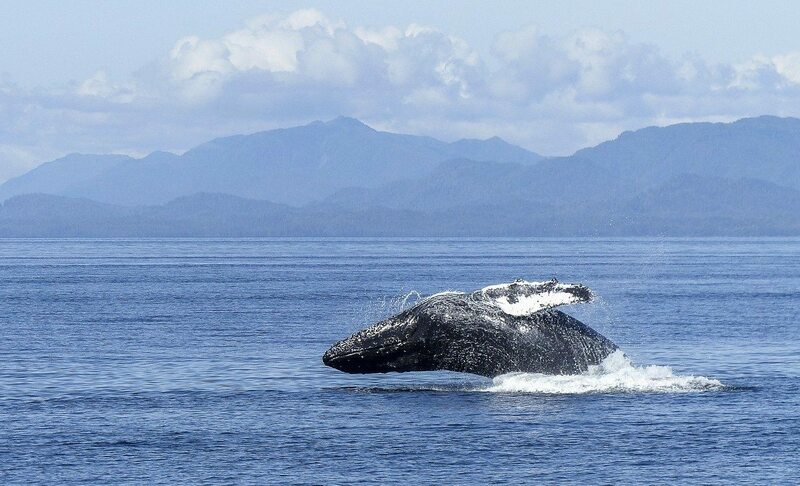 First, you mentioned whale watching – I totally recommend it and you should book it as soon as you can! 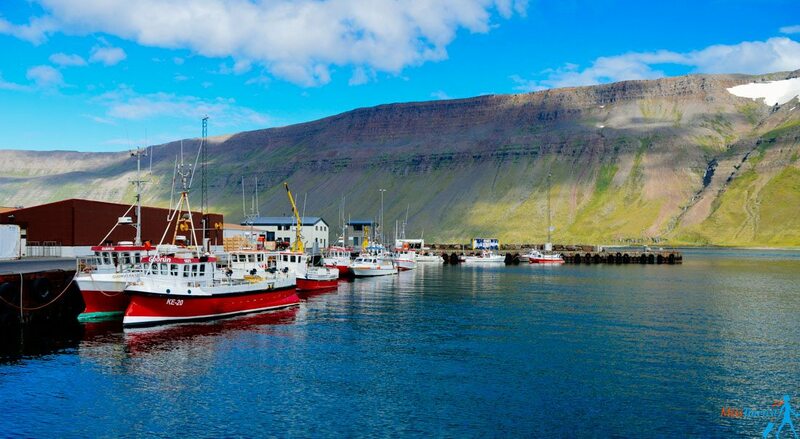 Here is one good option: Húsavík: Original Big Whale Safari & Puffin Island Tour (I advise taking a speedboat to enhance your chances of seeing the whales). 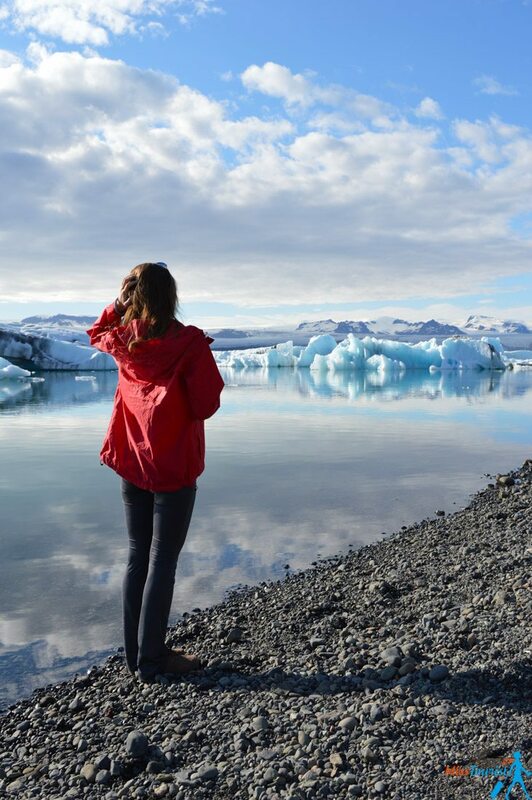 Of course you cannot miss the glaciers in Iceland – they’re a real landmark. 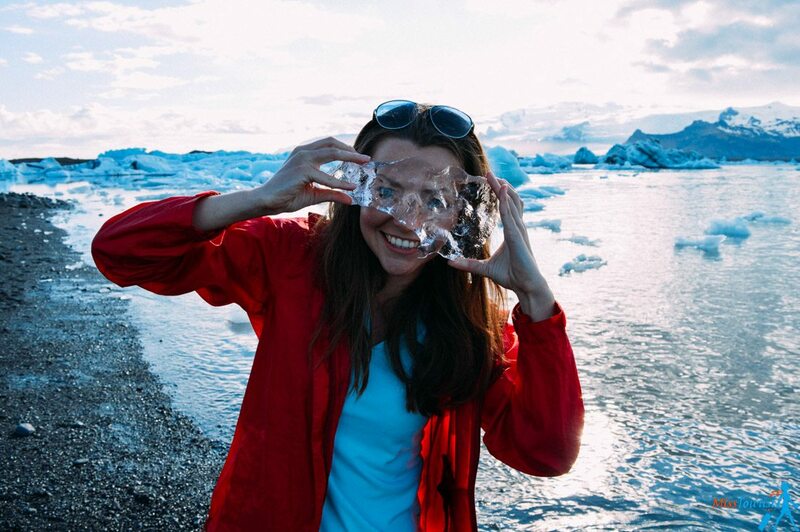 Even though you can easily get to Skaftafell glacier by car, I recommend South Coast & Jokulsarlon Sightseeing Tour if you want to take a walk and visit lots of glaciers in the same tour, including the famous Jokulsarlon glacier lagoon. 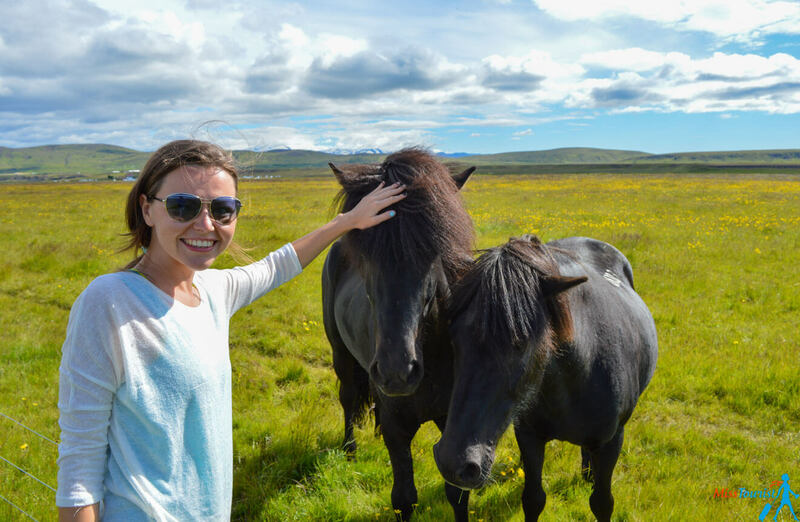 Some other things that I consider to be a must-do while in the country are the ATV tours in Reykjavik, the Horse Riding tour and the Lava Caves. And a super awesome activity that I unfortunately didn’t do (but I would go back in Iceland just for this!) is the Silfra Fissure Snorkeling Half-Day Tour! All these activities are in my Iceland articles too and you can search for more fun stuff to do on this website. 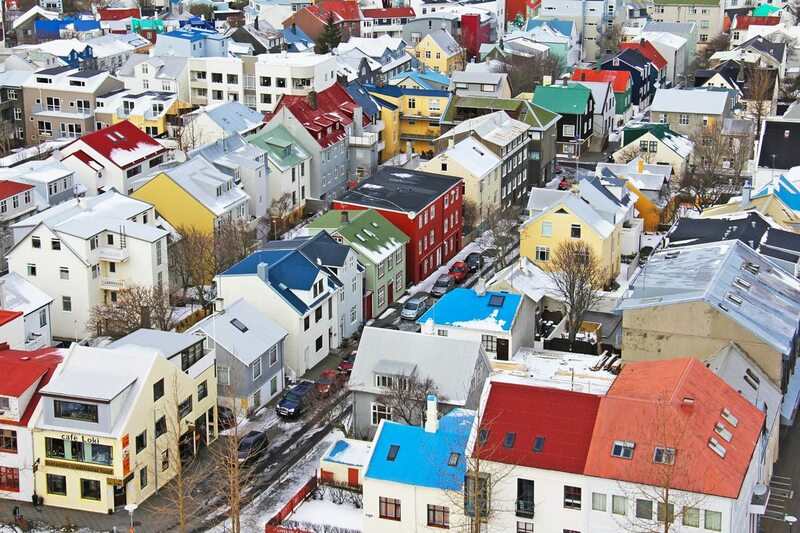 -> Then you can go back to Reykjavik and stay in the city to discover it if you want. If not, you can just stay in an airport hotel like 41 – A Townhouse Hotel and leave without spending more time in the city. 3. You won’t have to book the restaurants in advance in the small towns, maybe just in Reykjavik if you want to go somewhere in particular. Unfortunately, I don’t have any personal restaurant recommendations to give you, but I’m sure you can find some great ones on Tripadvisor. That’s it. I hope I answered your questions and concerns regarding the trip and I wish you’ll have lots of fun in Iceland. I wish to go back there one day too! awesome you are going to follow the itinerary! As for your question, you can totally get a camper van, you will need to calculate the cost and compare, I cant say for sure if it will worth it because I didnt do it and the price really depends on the season. You still have a lot of time, so I would suggest to make a sample calculation to what would be best for you. My article about hotels in Iceland where you can easily find economical ones, is coming in a week, so it will be easy for you to estimate. Wow! This is a great write up on touring Iceland! This is a dream trip for me. Seeing all of your photos and ideas for places to visit is rekindling my fire to tour there. My plan is to rent a bike through to cruise around on. I don’t think there is anything that will beat that environment than cruising it on a motorcycle. Snorkeling through the tectonic plates is an amazing idea! I never even knew this was possible! Did you go to any of the thermal power plants? Such an amazing way to create their power. Also- who doesn’t love puffins?! Never knew you could get that close to them in Iceland either. 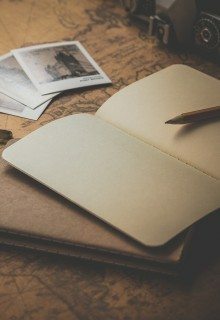 This post was extremely helpful to me. I appreciate all the work you have put into providing links for all of my questions. I am happy the post was helpful! I have stopped by some thermal power plants on the way, it was very interesting! Hi Melissa, thanks for all the details tips and info. I was wondering which month were you at Iceland? We are planning to go this end of September and wanted to know if we need a down jacket and wear warmer clothing? Also, do you have a post for Snaefellsnes area? We are planning to spend a night there and drive back to the city and head to the airport the next day. Thanks very much. Thanks again for the packing tips. Cheers! After seeing your post, I can’t stop myself to plan a trip to Iceland. It’s very informative and interesting blog. Thanks for sharing it! I dont have special suggestions unfortunately. There are some places in the golden circle that will require walking (not much, but still) and there are definitely some on the Ring road. Most of the people are very nice and I am sure they will not refuse if you ask them for walking assistance for 200 mt until a waterfall. I might be wrong though, maybe someone else here have a similar experience and have some tips? I am so so so fascinated by your blog & it just make me more certain to go Iceland despite the HIGH cost. May I know is it advisable & economical to go around in a campervan? We can only go in June. We are still thinking whether to rent a 4WD or travel around in campervan. I am not sure if it will be less expensive this way, please compare the prices for the car+ accommodation with the campervan +camp facilities prices. You will only need a 4WD if you are going to go off-road, the road trip that you read about above did not require a 4×4 car. I have this article about 8 Things to know before renting a car in Iceland, which I am sure will help you to decide which type of car is better for you and your trip (check section “Bonus 1 – Choosing the car in Iceland). I talk there about the different types of cars that may be suitable for each type of traveler. About the camping: You can camp in the designated campsites in Iceland. It is forbidden to camp outside the organized campsites or urban areas. You can find all the campsites that are in Iceland here. Have a nice trip and have fun!